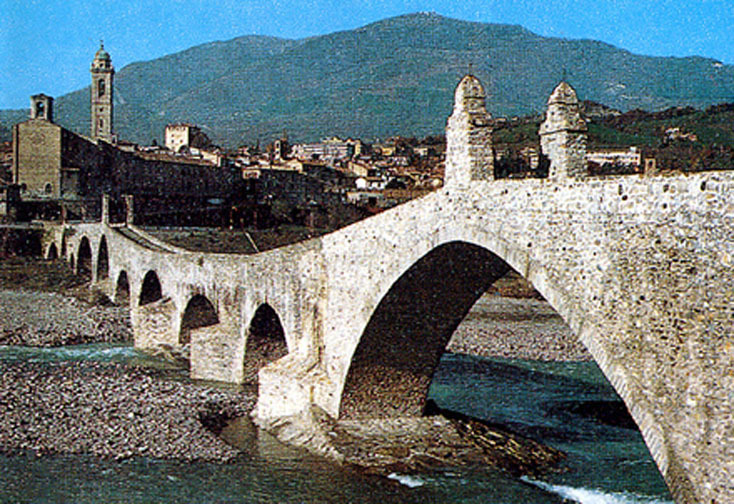 The Hunchbacked Bridge is in Bobbio in the province of Piacenza and crosses the river Trebbia. It’s called Hunchbacked for the interesting architectural design of arches reaching different heights and different one from another. The bridge is very ancient, probably dating back to Roman times and after being destroyed was rebuilt several times “as it was”. 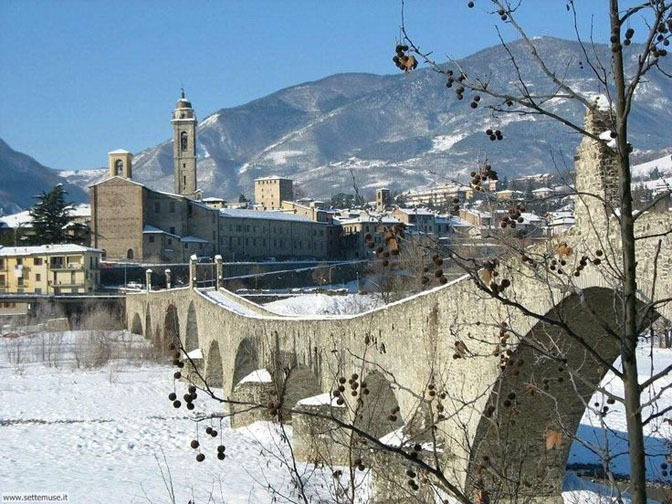 The bridge connects the Bobbio’s medieval town to the other side of the River, we can cross it on foot or by bike and enjoy the splendid view of the Apennines.